Aloha! I have had another busy day again, packing & organizing. I have so many clothes & shoes that I can’t decide what to take! My outfit is casual again & I am seriously thinking about wearing this on the plane. My Plaid Maxi Skirt is from H&M & so is my peace top. It is a really comfy outfit to wear & so I think it will be perfect for flying. 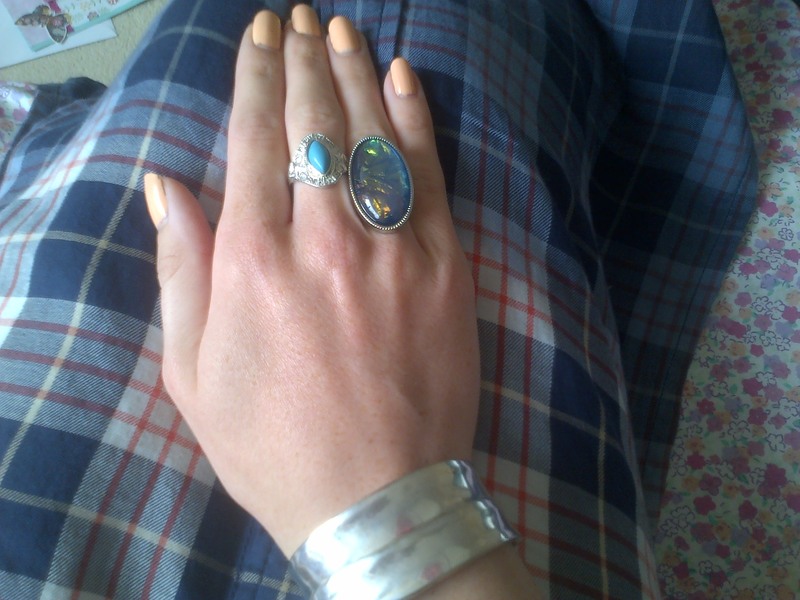 As usual I jazzed it up a little with rings & things. 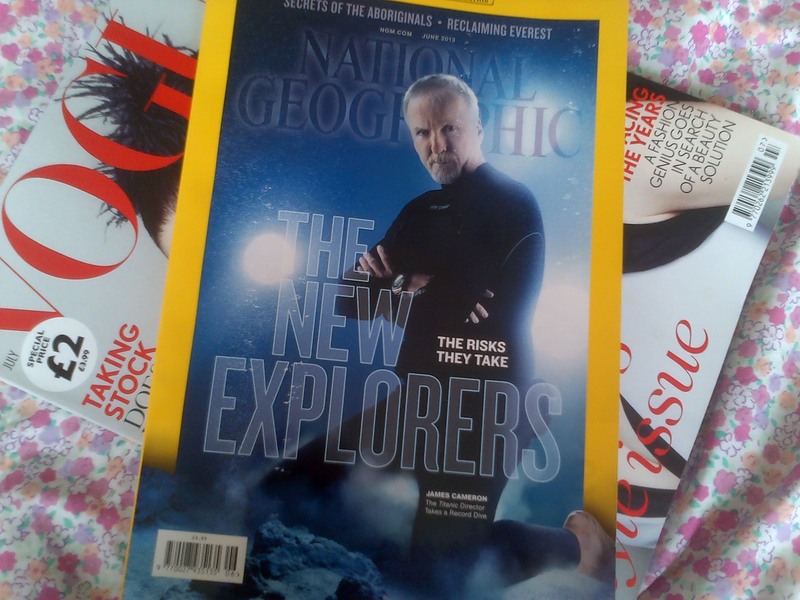 I also bought a few more magazines to keep me occupied on the beach. 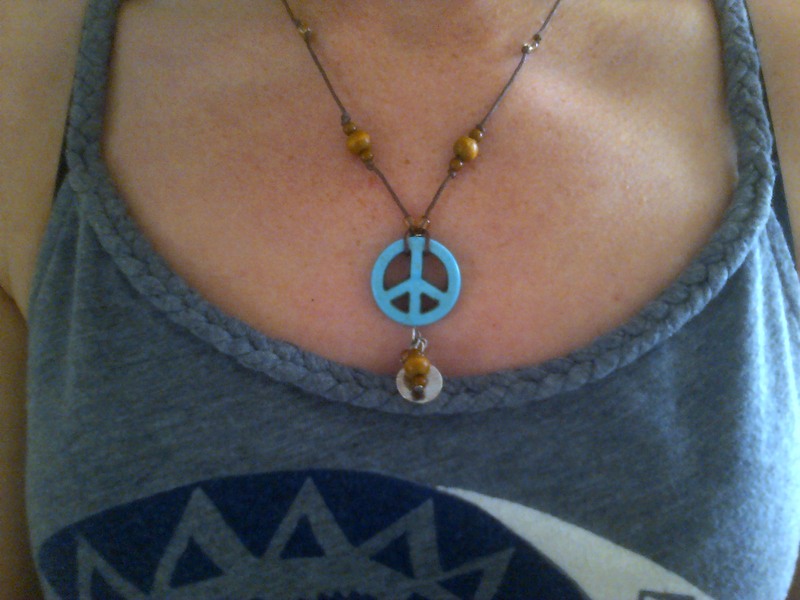 I totally forgot to show you the Peace Necklace I bought yesterday. 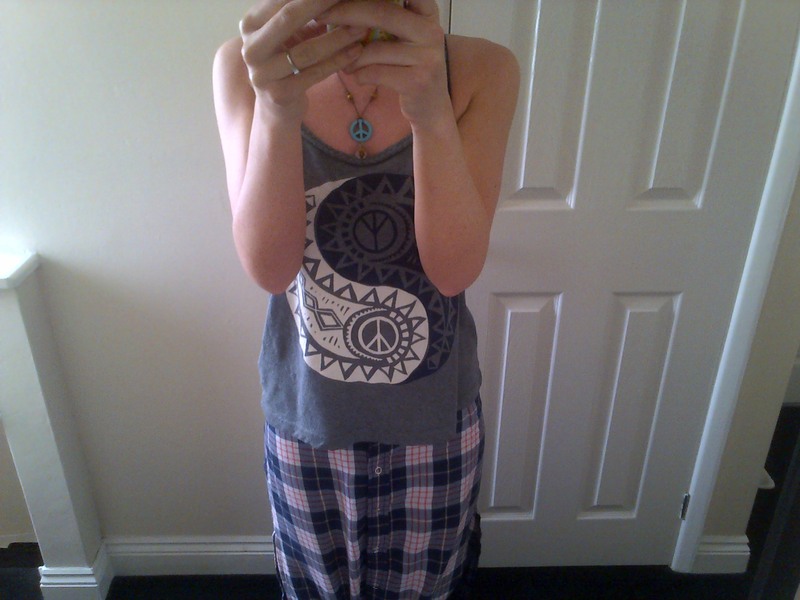 It was a total bargain & I am a sucker for peace signs. It is so pretty! I hope I can find some awesome jewellery whilst on holiday. Tomorrow I am seeing Chris for the last time before I go to Gran Canaria, I am going to miss him. It won’t be long until our trip to Tenerife & we can spend some quality time together!